It was some months ago now, almost a year, when I first began writing posts for the blog. One of my first posts was on Syncretism, the practice of incorporating elements from different, sometimes vastly different culturally beliefs, into your own. I went into describing how I believe this can be highly beneficial, but it must be done in a considered way, to avoid insensitive cultural appropriation and combining elements that do not, fundamentally, belong together. I was recently doing some reading on several blogs I and a few readers here frequent, when I came across a post by a writer on Mixed Family altars. This intrigued me, so I thought I would give it a read through. Needless to say, what I read gave me some cause to concern due to in my eyes, its inaccuracy and bad advice. What follows is therefore my own take on it. I have copied the original text below – I felt like reblogging it, or otherwise identifying the original poster would have made it more of a clash of personalities / conflict rather than about any discussion over content. I have no desire to spoil someones day, but merely highlight something I feel is important. Not all pagan keep permanent altars in their homes, and sometimes its because not everyone follows the same path. You can, however, provide a mixed family altar where everyone can combine their beliefs in one place. Mutual respect. Even if someone is Christian, you should respect that path and if they wish to set up a cross or similar religious symbol. Sharing respect strengthens family bonds, and helps encourage one another in their spiritual path. Candles. If you worry about fire, you can also use the flameless candles. Its for the mood, to symbolize enlightening and energy. Offering plate (or bowl, basket or other container). Here is where family can put prayers, promises, offerings, and other items in a single space for the Divine. I would suggest including a small pad of paper with pencil so members can jot down words when the need arises. Offerings can often take many forms such as food, drink, incense, prayers, promises, shiny things, and intentions. You could even put money, and then the family can vote on where to send and which charity. Season and holiday symbols. For instance, a spring altar might include eggs, flowers, but also crosses, and symbols of Christ’s resurrection. A winter solstice them can include symbols of the god, but also a nativity scene. There are numerous problems with the above approach, which I believe presents incorrect information. Firstly, it presumes that every belief within the household can be combined, despite the different cultural, theological, and philosophical teachings that may run through the different currents presented upon such an altar. For example, lets consider that in one household, one partner is a follower/dedicated to Hecate, and another is a Catholic Christian. A combined altar, as above would combine statues of the Goddess, alongside images of of Christ on the cross. We can ask a simple question, and say that, if we look at the teachings of both, would this be a logical altar to work with? With some thought, the obvious answer one would arrive to would be no. Hecate, as Supreme Goddess, would not want to share her altar (her altar it being, as it is dedicated to her in some manner) with an icon of the solar cults which have seen her own and her followers suppressed for the past two thousand years and longer. On the opposite, why would the solar eternal God of the Bible, which specifically forbids witchcraft and worshiping idols, want any kind of altar, specifically where one would be placing such an idol on it specifically breaking his own teachings? Even if we follow the mantra that all Godforms are just that, forms that are veils over the actual, real spirits and gods, then it follows that we would choose veils which can be combined, can merge, can empower the altar and through it, our connection through the harmonious symbolism to the actual spiritual forms of the Gods and Spirits themselves. Creating a confused, non workable amalgamation works for neither party, and does not have any real power behind it. Even within seemingly harmonious combinations, trouble can arise. I discussed this with a friend, asking him for his advice to clarify whether it was possible to practice and to some extent combine the practices of the teachings of a particular cult of Death alongside that of the Primal Craft. He was in agreement with my hunch that it could, but even so there was room for error. 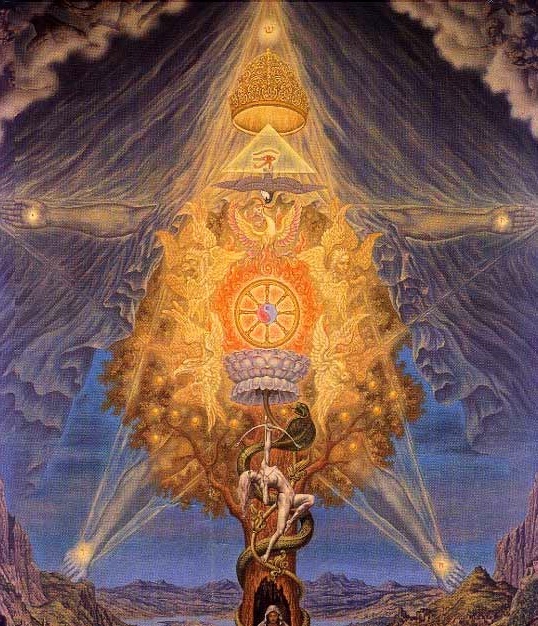 He has since discussed how others, coming to the same conclusion, tried to combine these beliefs and create a shared altar for both Saint Death alongside Hecate, and that those people received an astral backlash for attempting to combine not the work, but the dedication together in one amalgamation. When we realise that the Gods are not there solely for us, solely to supply human needs and wants and neither created up by our own minds and fantasies alone, it becomes easier to see how these issues could be serious and could cause very real problematic situations. The Gods and Spirits must be respected, each one worked appropriately with as little assumptions made about them as possible. To return to the post, mutual respect within shared households for other peoples spiritual paths, unless they are overly extreme, dangerous or invasive, is vital to maintaining good and open relationships between people. There is no reason why, in the above example, a space could not be set aside in the house and two smaller, separate altars constructed. If the Christian wanted to work with Hecate or leave offerings to her, he could at her altar, and vice versa, without creating the conflicting space. This would allow both people to partake and interact with the others path, to some extent, and learn about how it is important to the others persons life and would still allow the same, shared practice sought after in the initial idea. In addition, this would, in my eyes, garner more respect than the combined altar method. Approaching someone else spirit or ruling god, outside of your own comfort zone, shows respect to them and their beliefs rather than insisting upon your space necessarily encroaching upon theirs. It also enables both people to walk their own paths as well, utilising the altars for the personal dedications to their ruling gods and spirits without the confusing influence being enforced upon them by a shared altar projecting a mixed current. A lesser problem in the post is also the mention of the candles. Here we see a demonstration of the modern belief that a symbol can replace an actual object in worth. This is not correct, and is not fair advice without clarifying what is lost by this replacement. Actual candles are made of a variety of substances, all of them organic in some manner. When burned, these act as an actual, energetic offering outside of just being simply to set a mood for a human participant. 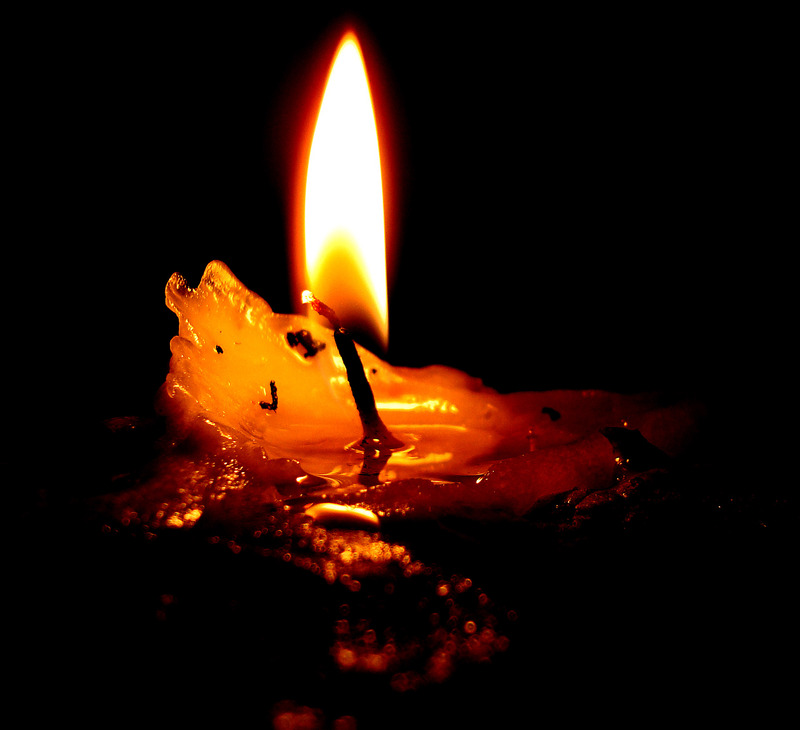 This is a thoroughly necromantic practice – the energy of the animal product is being released as consumable energy, as a real, powerful flame that radiates a strong heat. Conversely, electric candles are at best, a very poor substitute, the energy being used for them being generated by some chemical reaction (zinc and manganese dioxide reacting with each other in the case of alkaline batteries). These do not have the same effect as actual candles burning a wax that has been produced from or by an animal. For safety they are, of course, preferred, but this comes at a large cost in their worth as an offering, and I would not recommend them unless they were the only choice due to some kind of regulation. If housed in proper holders, the chance of fire is exceedingly small, with a bit of care. This assumption is typical of some neopagan practices, which do not respect folk belief and instead concentrate on intention alone. Intention is a very powerful tool, but when combined with actual, physical objects that contain magical properties, the results of any operation will be heightened exponentially. It is also to be said that some operations are impossible without being grounded with corresponding physical materials as without them the correct gates / avenues for the spiritual power to egress will not be opened. Many people that work with the plant spirits for example, would be able to tell you that much if not all of their current relies on personal experience with not just the plants spirit, but also its physical form. With the above said, it comes back to the point that we must realise our magickal practices and beliefs should not be an escape into a solipsistic fantasy. Instead, they should be grounded in real contact, utilising whatever methods work for the practitioner. I’d be interested to see what other people think on this subject, so feel free to fire up the comments section. This entry was posted on April 20, 2014 at 10:40 pm and is filed under Necromancy, Occultism, Paganism, Wicca with tags Altars, Candle Magick, Family, Pagan, Paganism, Religion and Spirituality, Syncreticism, Wicca, Witchcraft. You can follow any responses to this entry through the RSS 2.0 feed. You can leave a response, or trackback from your own site. It is a very eye opening post. Thanks for sharing. Maybe it is just me but I am very wary of Neopagan ideologies. Intention in magic is near to useless unless properly channelled and the energy enhanced with necessary materials or energy sources. It took me years of confusion and failure to understand it thanks to the widespread magical resources based on Neopaganism on the Net. I can understand that… My personal experience of bad material floating around on the internet was a large factor in my decision to originally create this blog. Im glad the post was of use to you! Syncretism reminds me of the fable of the 7 blind mice each touching a different part of an elephant and claiming to have figured out what it is. Turns out the mice are only partly aware and greatly misunderstanding the “elephant” as an object of narrower and smaller scope. It assumes that one has only part of the entire picture and that all must work together to find out the Truth. But the best way to identify the elephant is to actually open the eyes and look at it, and this really is at the heart of all magick. Syncretism’s most perilous pitfall is in its reluctance to negate. An elephant may have a nose like a hose, a leg like pillar, or an ear like a fan… but that does not make an elephant a hose, or a leg, or a fan. More importantly, simply assembling all the assumed objects and arranging it to look like an elephant does not actually make it so. An elephant is still an elephant. But as for your anecdote on Hecate and the Christian God… yes. Yes there is a way actually to utilize both and make “logical” sense out of it. The Christian God is ultimately about sin and salvation. Despite the many denominations treating it as a religious law book – condemning every sinner into hell who doesn’t follow the doctrine, Christianity has always been about “grace”: “not by human effort but by God’s grace thou art saved.” Meanwhile Hecate is the overseer of the heaven, earth, and sea; revered by Zeus himself (who by the way is considered one of evil forms of patriarchy) whom Hecate actually helped overthrow Cronos in the Titanomachy. She sits between crossroads, the center of it all, neutral and primordial. In some accounts she’s even the daughter of Nyx and Erebus the primordials themselves. She’s the more human aspect of the Dark Night linking the divine and the mundane. We could discuss more about her origins – as there is no dogma on this, but one thing is certain: she represents the very fabric of the Magical Mind. If one believes that Jesus/God will forgive her no matter what so long as she believes in “The Word”, and that Hecate is similarly a primordial aspect of the Universe and Beyond, then I wouldn’t imagine either to be petty, unwise, or unforgiving enough to oppose each other’s presence in the same altar. It’s a very unique act actually uniting grace with authority, love and magick, light and darkness. Honestly it’s pretty neat. That is, given that the mind and heart of the practitioner is in the right place. I suppose this is how some are Christian and Wiccan at the same time as I’ve seen a few. But really, very few care to think this far in terms of Syncretism, and perhaps as you said this does have the potential to deter magical efficiency instead of accelerating it. Blind syncretism is not only dangerous but also very sloppy and just plain ignorant. There’s an aesthetic distaste to it, let alone magical efficacy. The key really is to tear down the blindfold (for we aren’t blind but merely veiled) to witness reality. This I am certain is more important than what tools you use or what gods you serve. Correctly identifying the parts of the elephant become easier when you actually open your eyes to see it. The existence of magical reality is evident but has been widely acclaimed to be against human language even, no especially by the major religions, not just the mystic schools of occult, gnosticism, magick, and witchcraft. Syncretism or no, this is at the heart of all magick. This must come first.